Cameo glass, one of the most costly and difficult decorating techniques since first century B.C., is documented and illustrated in this catalog. Included are examples from Rome, Islam, and China, as well as English 19th-century masterpieces by John Northwood and George Woodall among others. For the purposes of this catalog, the term “%%cameo%% glass” is used to refer to cased glass objects with two or more differently colored layers. The outer layer is usually an opaque or opalescent white, and the outer layer or layers have been carved in to leave the decoration standing in relief against a body of contrasting color. Shading is produced by thinning down the carved layer; highlights are created where the glass is left thickest. 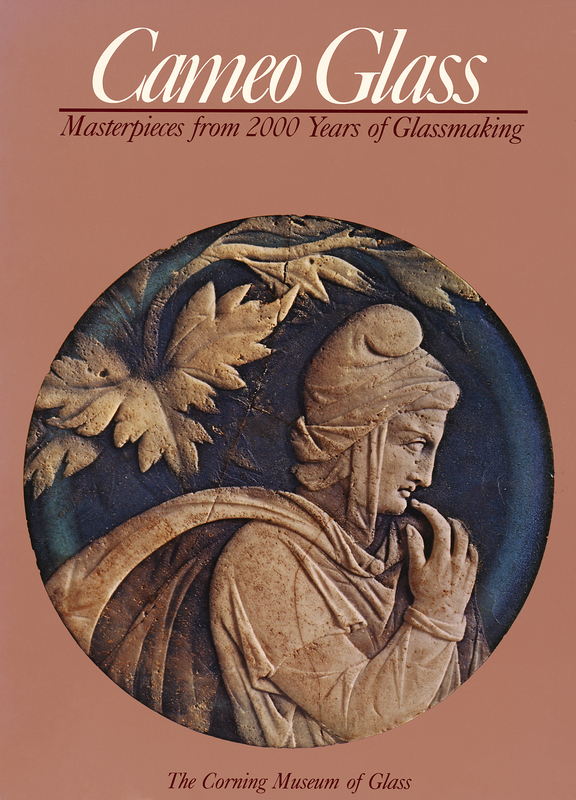 Both this catalog, and the exhibition for which it was created, documents the 2000-year %%cameo%% glass tradition.